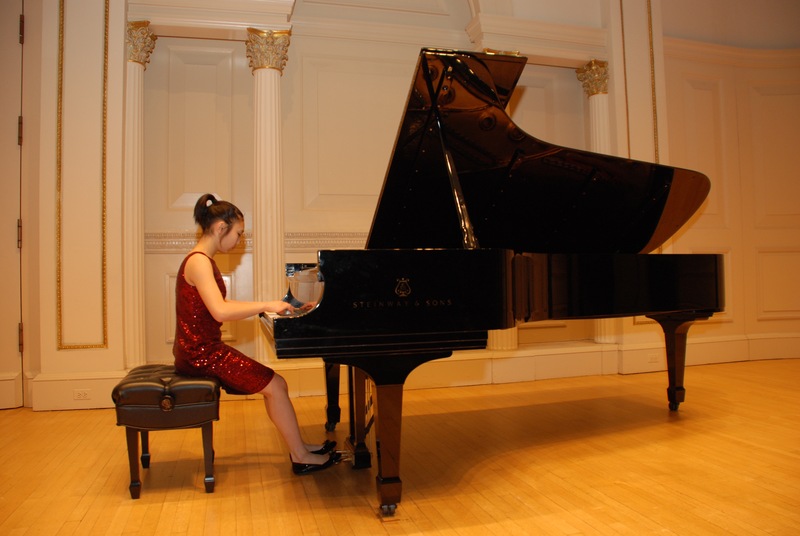 The Chopin Academy of Music provides opportunities for extremely talented and hard-working students, who seek to enrich their professional development and experiences through performing in the most prestigious venues, not just in Western Washington, but also the country, and the world. Many of our students have performed several times on the stages of Benaroya Hall, Meydenbauer Center, numerous times on live radio, and other prestigious performance venues. Starting 2012, the CAM offers its own student concert series for its most ambitious students at Weill Hall at Carnegie Hall. The next scheduled CAM at Carnegie debut concert takes place April 10, 2018. Currently enrolled students should refer to the CAM Agreement for criteria regarding eligibility. This Carnegie Debut program will be offered every three years exclusively for the loyal students of the Chopin Academy of Music, who have proven achievement through continuous awards at local and national levels, have studied at least two years at the CAM, and who are enrolled in the Competition Preparation program. This is one of many events that the CAM offers to extreme talents, and is solely merit-based. In future years, the CAM will organize similar such experiences at other prestigious venues in the USA and Europe. Study with the highly-educated and qualified instructors of the Chopin Academy of Music.